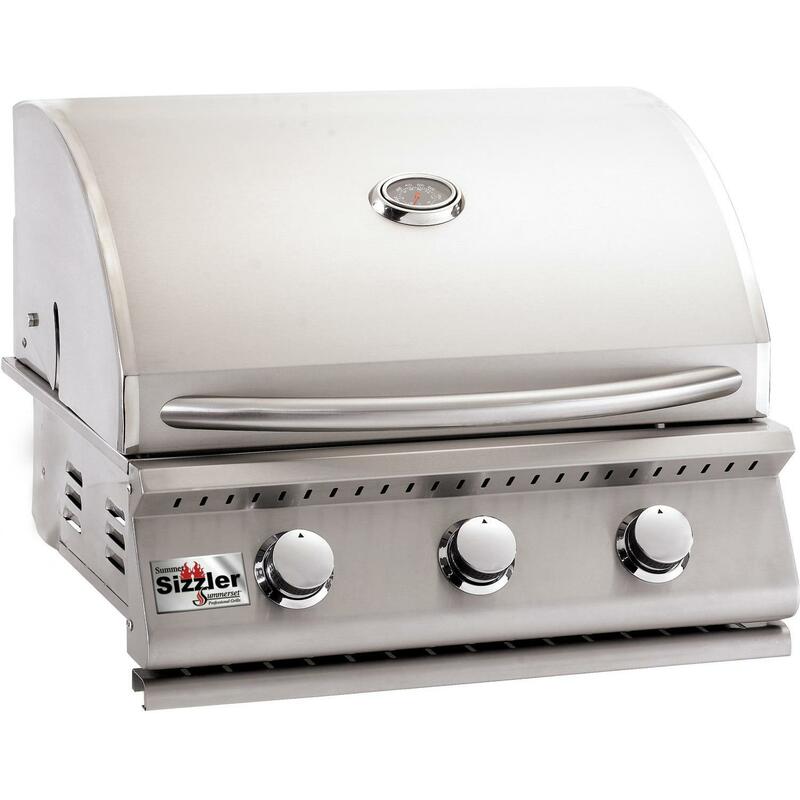 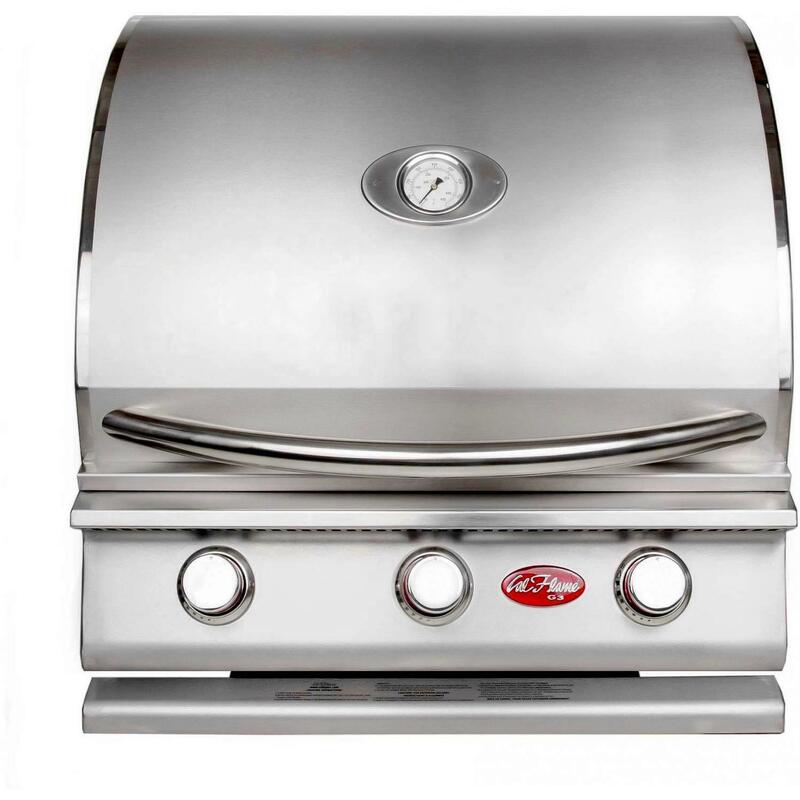 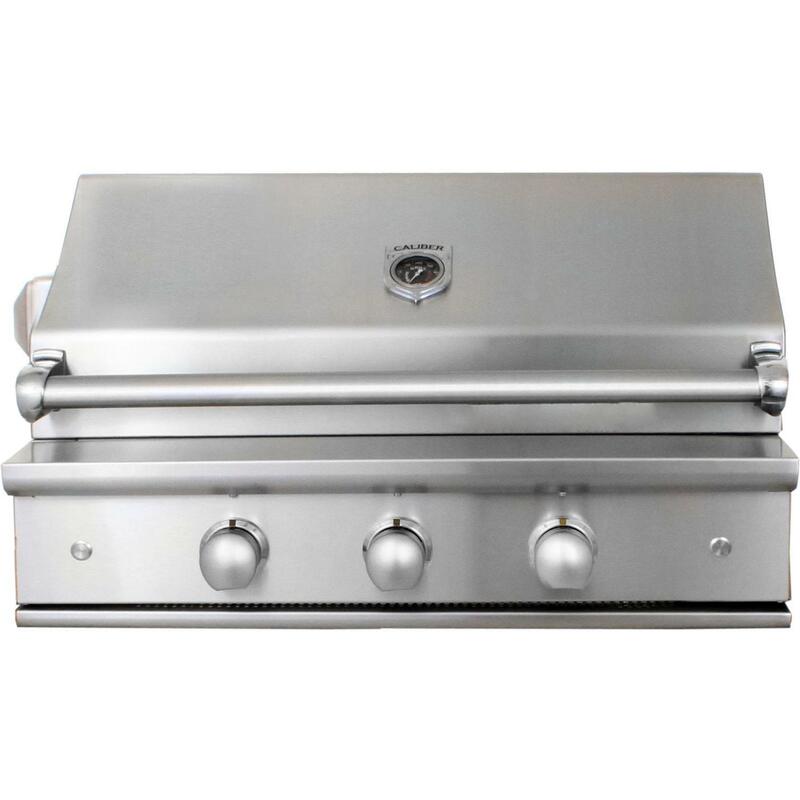 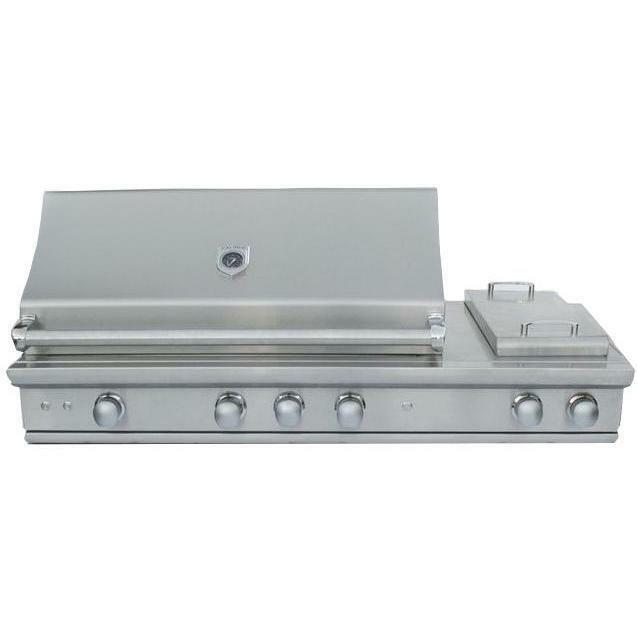 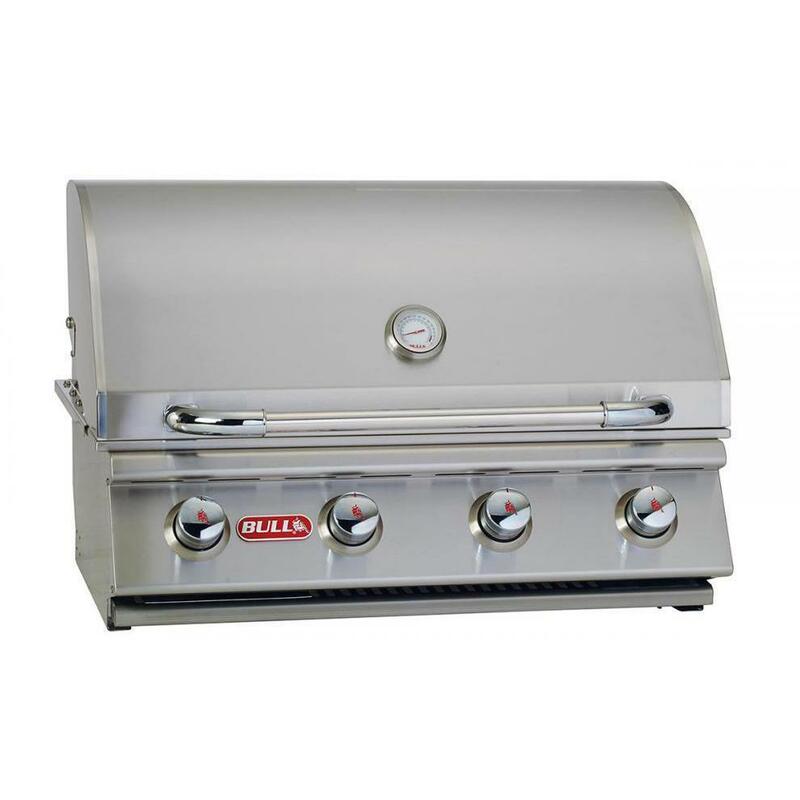 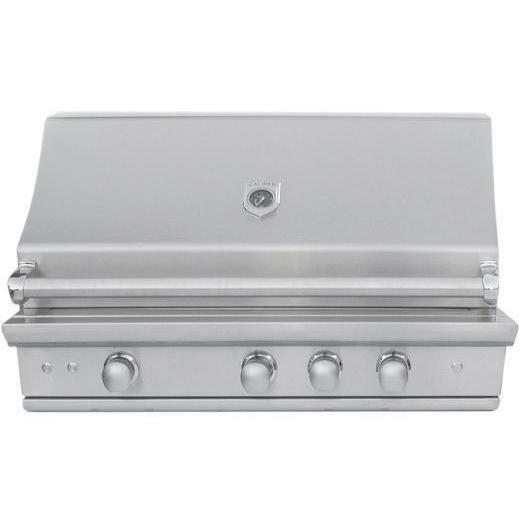 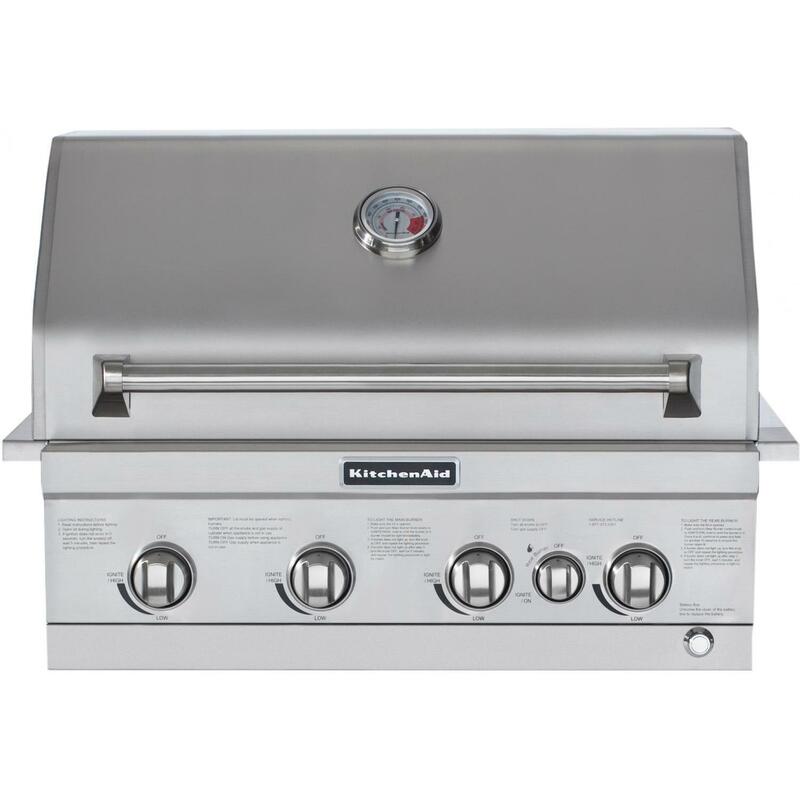 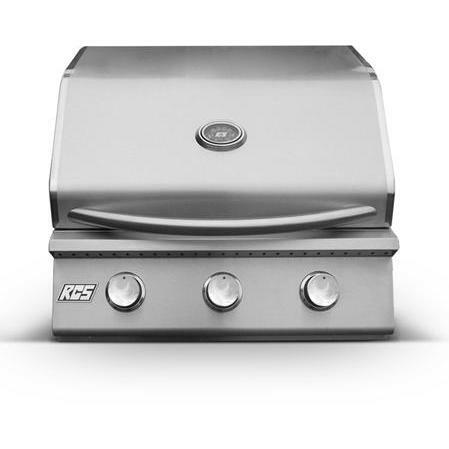 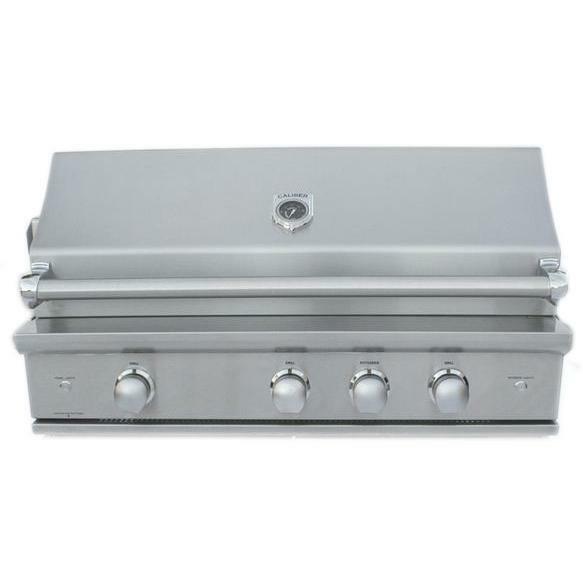 Product Description: Caliber CrossFlame Silver 35-Inch Built-In Natural Gas Grill. 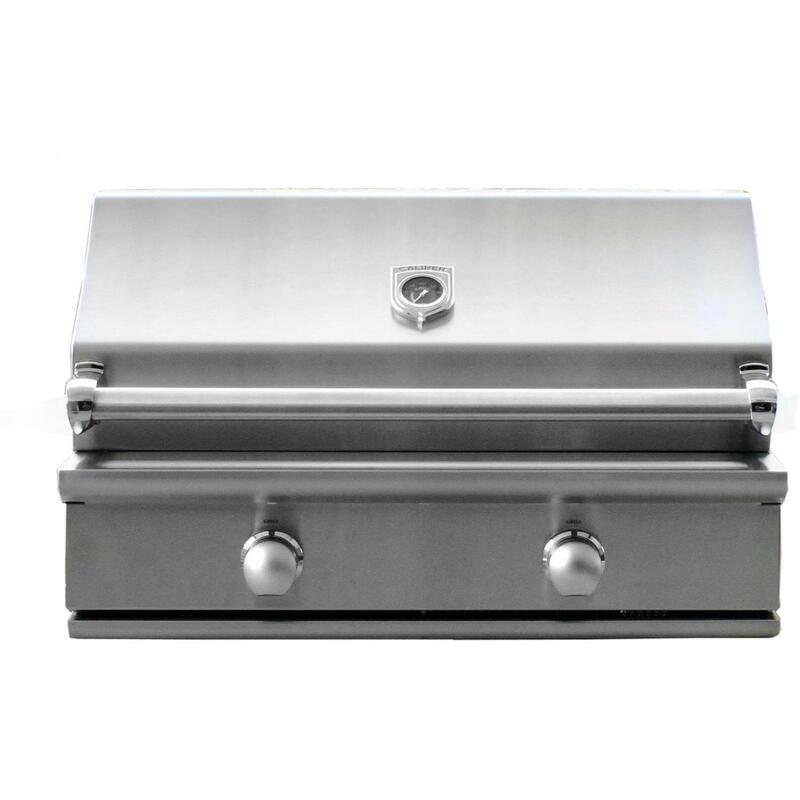 Bringing quality craftsmanship and innovative features to the outdoors, Caliber grills are designed for an extraordinary culinary experience. 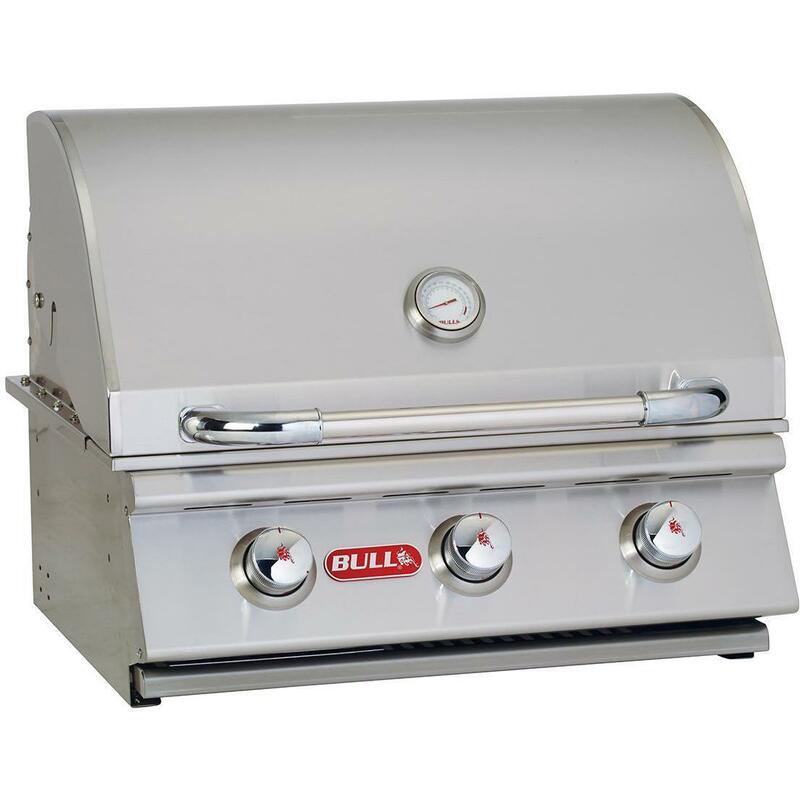 This built-in gas grill is proudly made in the USA from seamlessly welded stainless steel for a professional look and lasting durability. 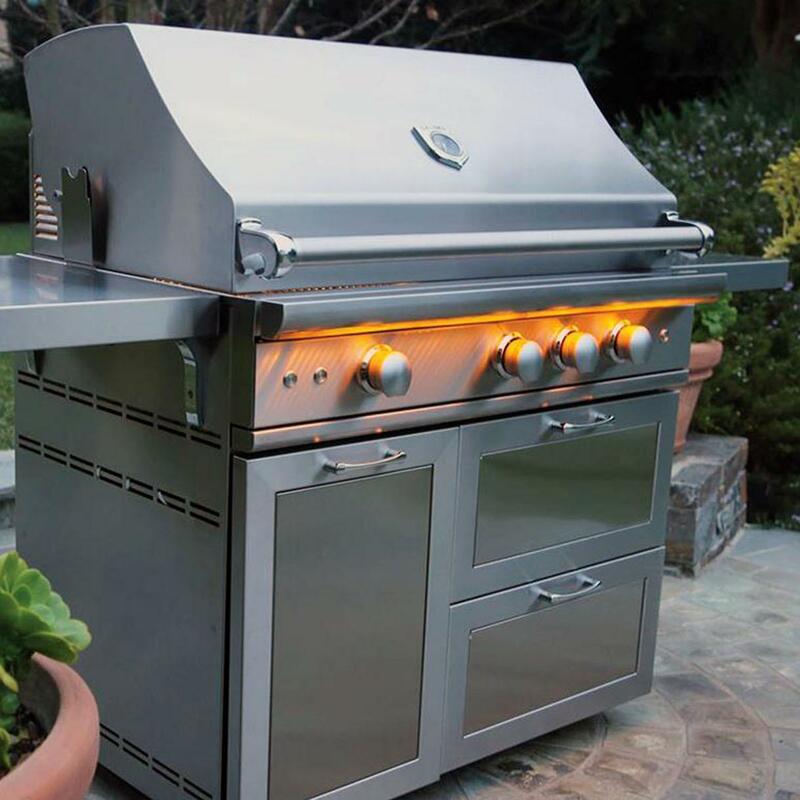 Lighting the grill is simple using the sure light system which operates reliably and safely. 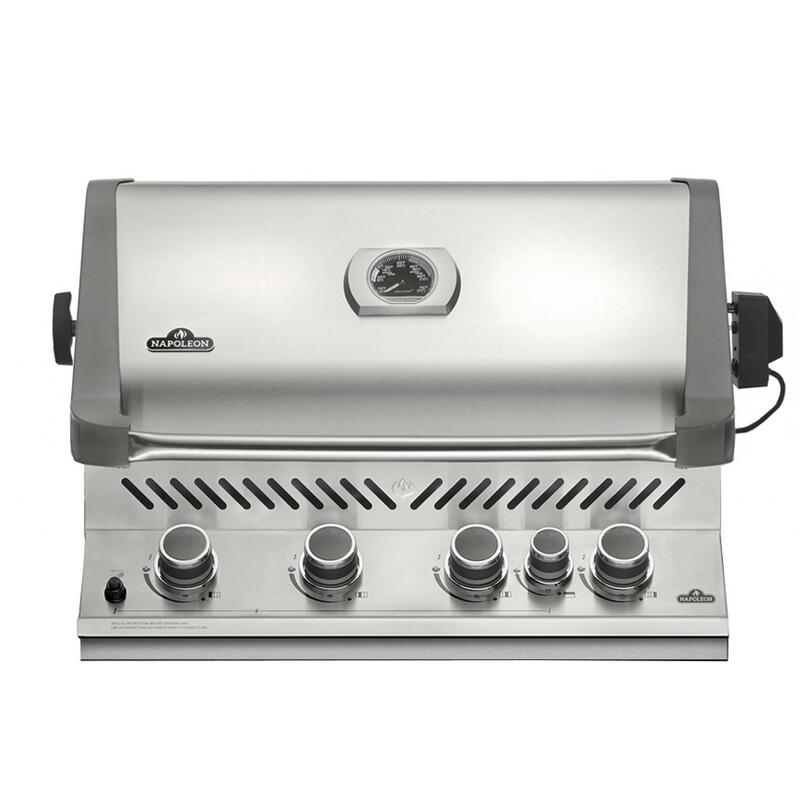 Inside the grill, two patent-pending, 25,000 BTU 304 stainless steel Crossflame burners are engineered to deliver efficient, impressive heat with a total of 50,000 BTUs. 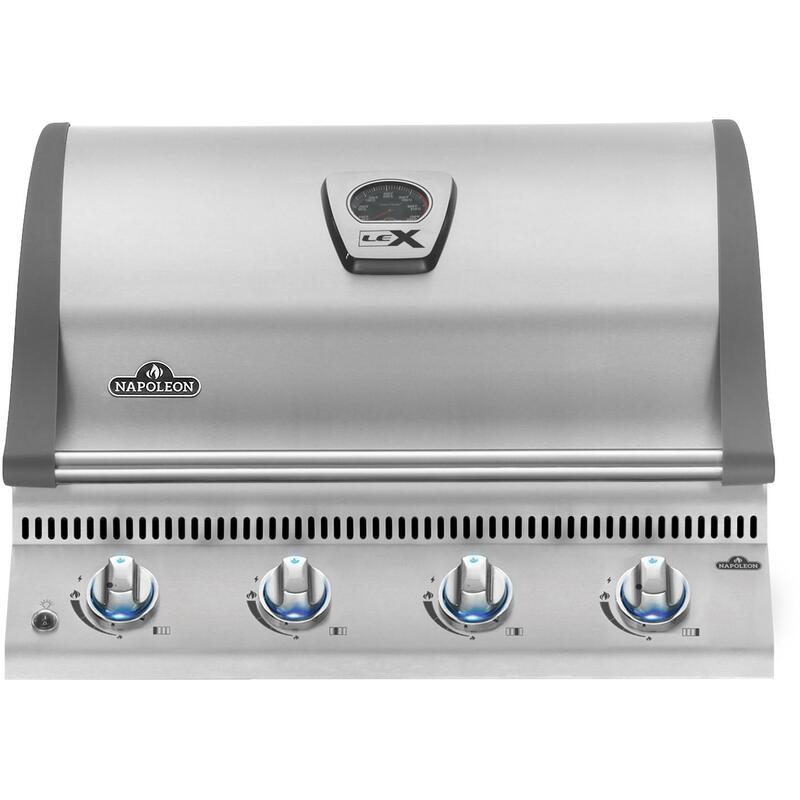 Above the burners, an exclusive Crossflame radiant system efficiently spreads out the heat evenly while reducing flare-ups for stress-free cooking. 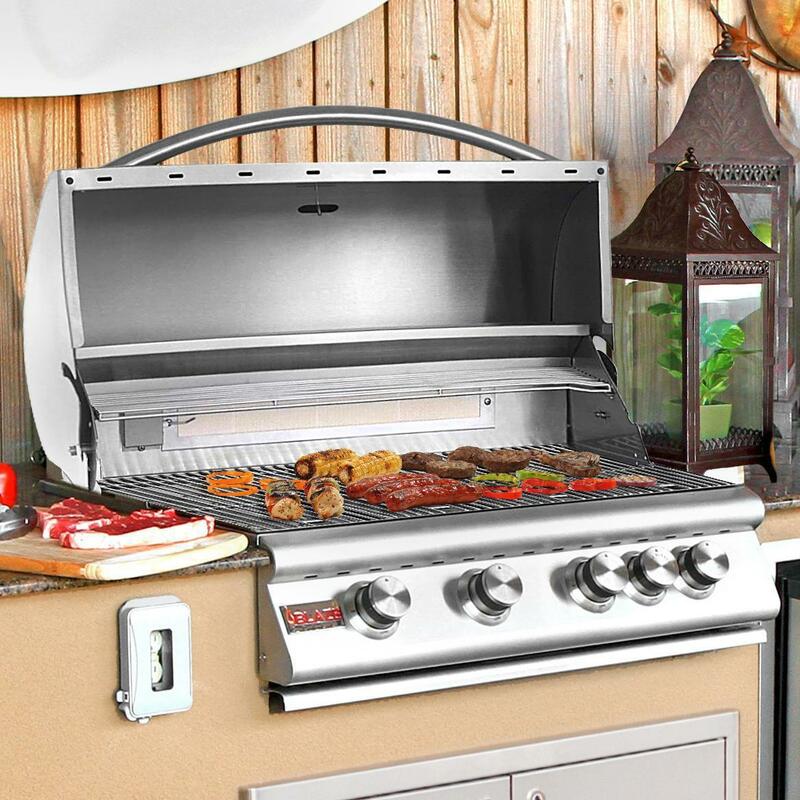 The cooking grids are made from heavy-gauge, stainless steel with 560 square-inches of main cooking area and 205 square-inches of warming area, for a total of 765 square-inches. 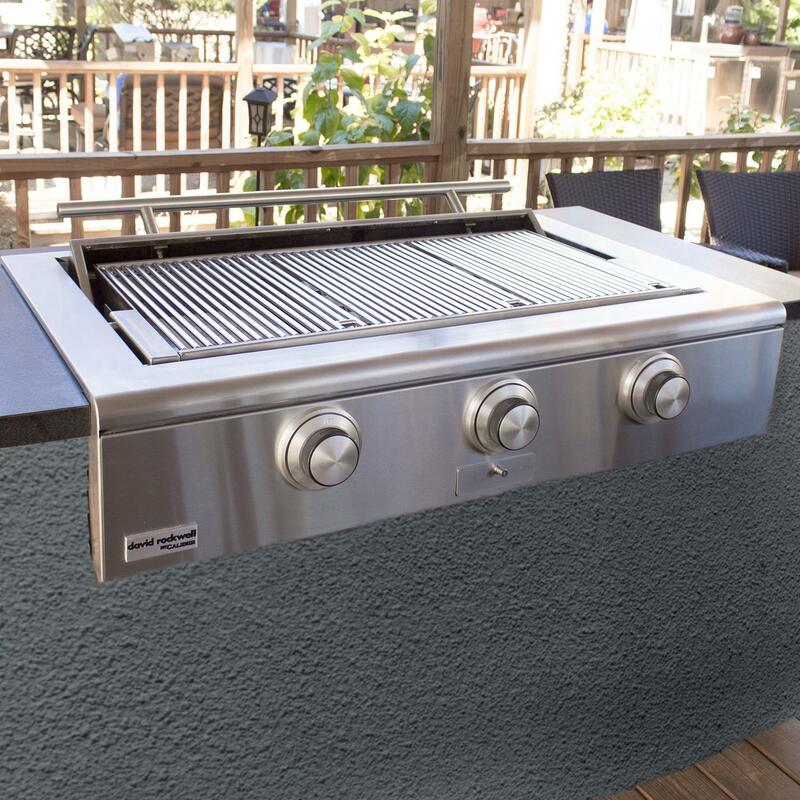 The welded grates are reversible which allows you to flip them over to cook steaks and chops closer to the heat or elevate them while cooking delicate items. 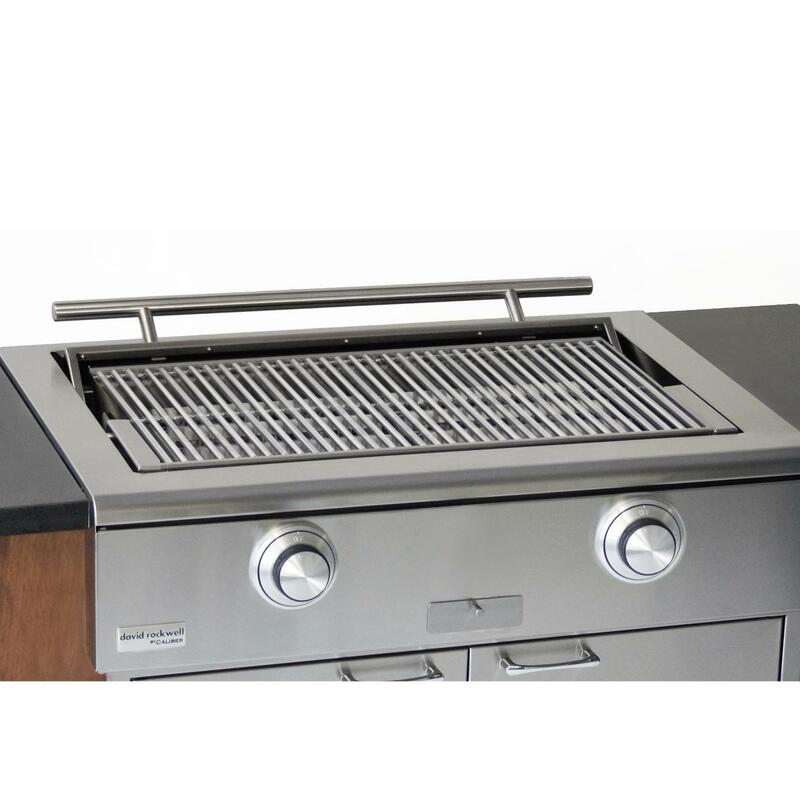 The CGA35-2G natural gas grill also includes cooking zone dividers for cooking at different temperatures across the grilling surface, adding versatility to your cooking.